Are you interested in starting a journey into learning to play the bass? We are going to be covering what you will need to get started, how to choose a starter bass guitar and a guide on what you should practice and play to become an expert. First, let’s take a look at the items you will need to begin to learn bass guitar. 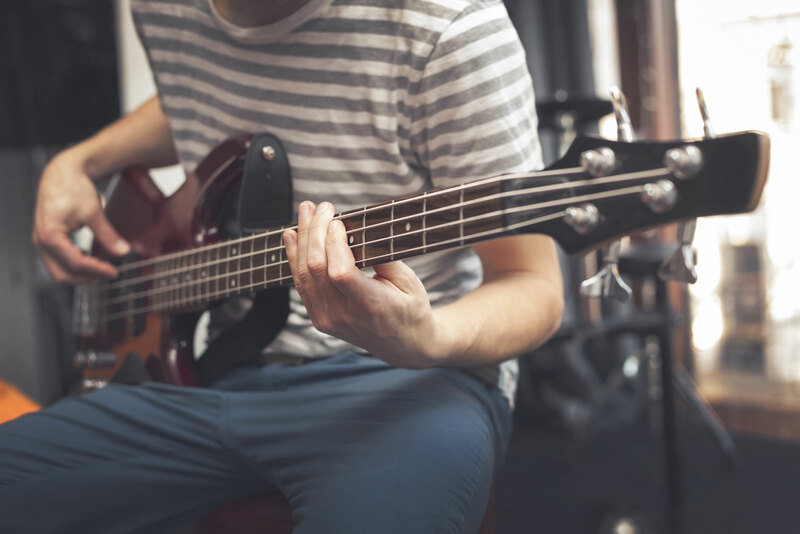 To learn to play bass, there are a few items that you should have in your possession to make learning the new instrument easier. One absolutely vital product that you will need for your bass guitar if you’re playing electric bass, is a bass amp. On its own, your new bass guitar is not going to be able to make very much noise – it needs an amplifier for you to start playing good music. However, if you are just starting to play, you don’t immediately have to buy something expensive and of the highest quality. 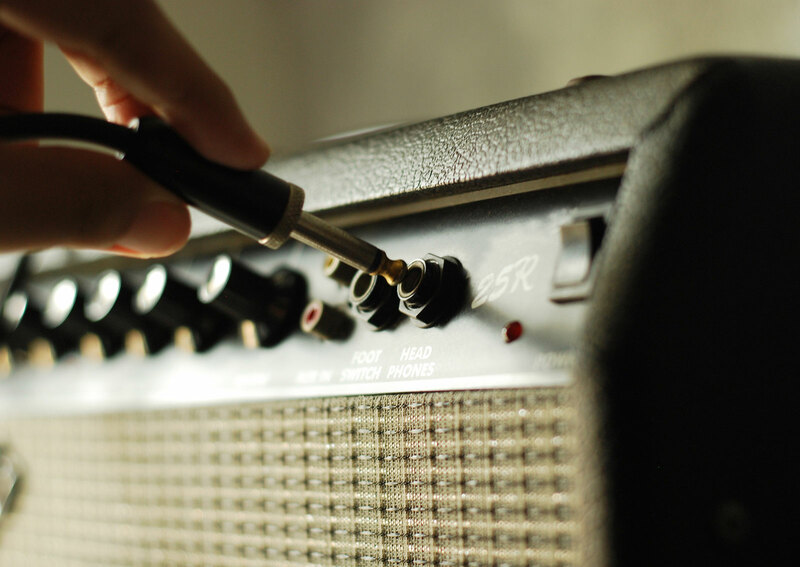 You can start out with a small amp around 100-200 Watts for practice until you become more comfortable playing at higher volumes. Along with an amplifier, you are going to make sure that you have an instrument cable as well. This essentially takes the sound from the output jack on your bass guitar and puts it into the amplifier’s input jack. These cables vary in size and length, and can typically be found easily online or at local music stores. You will want to simply make sure that it’s long enough to move around, and you will need ¼ inch jacks on both ends. While a case for your bass guitar might seem unnecessary, especially if you’re leaving it at home most of the time, we still recommend purchasing one. Leaving the instrument out all of the time could mean it’s getting covered in dust. A case also protects against scratches and being bumped into or knocked over. Also, if you decide that you want to travel with the bass, having a case handy makes that process so much easier. A lot of the bass guitars you consider purchasing may already come with a strap, but if not, you should definitely purchase one for yourself. In addition to adding a level of comfort to your practice sessions, having a strap makes it a lot harder to drop the guitar and damage it. Just make sure to adjust the strap properly for your body. Otherwise, it won’t work as well as it should. 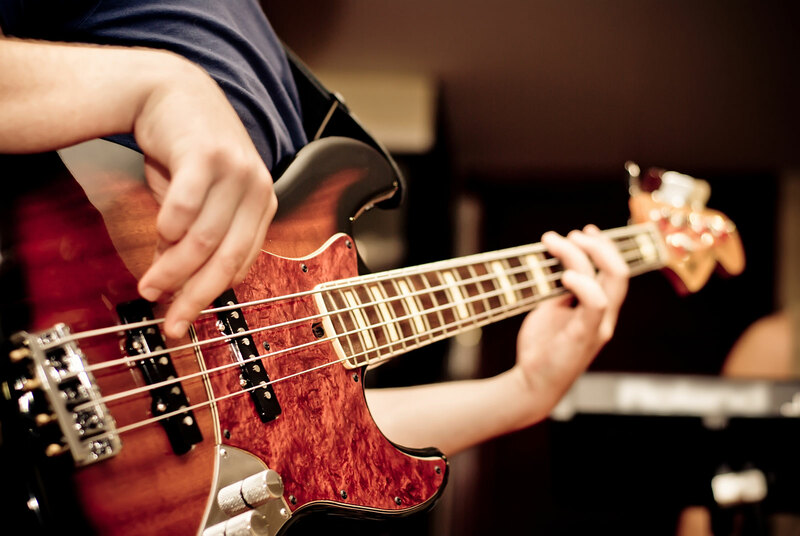 On top of these essentials, you will need the best beginner bass guitar for you. So how do you go about choosing the best starter bass guitar for yourself? This is a big investment and decision, so there are a few aspects you should mull over first. The biggest question is definitely “how much should I spend?” It’s important to ensure that you aren’t spending too much, especially as a beginner bass guitar player. However, you also want to make sure that you aren’t getting a low-quality bass. Having an instrument that is made badly will just make it more difficult to learn and play regularly. For a decent bass, you should anticipate paying at least $200, but if you are on a stricter budget, you won’t have to spend too much as a beginner. Should You Go for a Four-String or a Five-String? 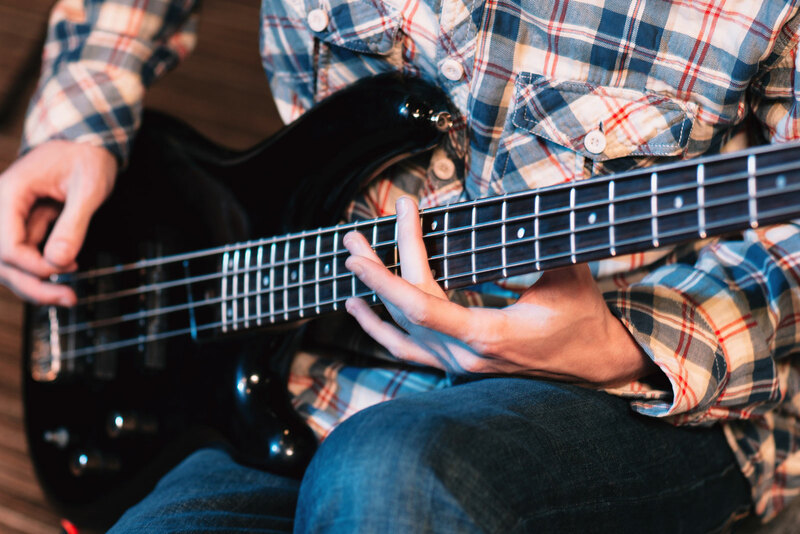 A standard bass guitar will have four strings, which are the same as the lowest four strings on a regular guitar (they are just one octave lower). 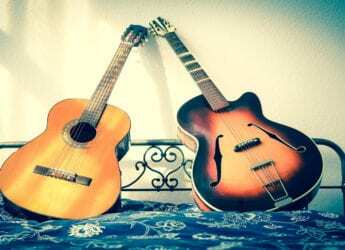 This means that if you are already familiar with playing guitar, trying out a bass won’t be too difficult for you. There are also bass guitars with 5 strings, which have an additional lower-pitched B string. 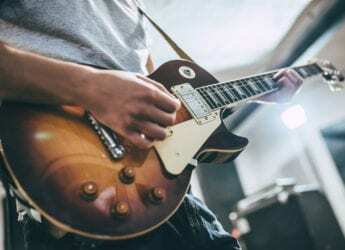 This typically makes playing complicated chords and scales a little easier on your hands, as they don’t have to change positions as frequently. These bass guitars are used by a lot of heavy metal bassists. As a beginner, it’s normal to go with the standard four-string bass guitar. However, it’s really up to you and the type of music you want to learn to play. Do keep in mind that a 5-string is most likely going to be more expensive than a standard bass guitar. When choosing your new instrument, you should make sure that you are excited about the bass guitar you choose. You will be spending quite a bit of time with the choice you make, so you want to have one you love. There are many incredible and diverse body styles to choose from, and it really doesn’t matter what you choose as long as you love it and are comfortable with the shape. As for tonewoods, this simply refers to the wood that the bass guitar is made of. Your instrument will have a neck, body, and fingerboard that are all made of wood, and the different types affect the sound it makes. Mahogany, which has a nice deep and warm sound. Basswood, which is like mahogany only a little woodier. Alder, which has a bright sound with a good midrange. Maple, which has a bright, crisp sound. Rosewood, which is warmer than maple and used in fingerboards. Last but not least, you should consider the electric bass pickups. These are simply magnets that are wrapped in wire, which create a weak magnetic field that is disrupted by the bass string and creates an electronic signal that is transferred to the amp from the bass. This then turns into a signal that relays as an audible sound to whoever is listening. There are a few different kinds of pickups, including single-coil, which are thinner and often have a visible row of magnets. They will typically have a clear sound and are a very popular choice for bass guitars. Split-coil pickups are also an option, and they are usually used in the middle or neck position. These pickups have a very deep and rounded sound. Lastly, there are humbucking pickups, which are wider and fatter because they have two rows of magnets. They have a nice growl and a much thicker sound than the other types of pickups. For someone who is brand new to the world of bass guitars, it might be a good idea to start out with two pickups, so you can experiment with the sound and see what you like and dislike. Once you have set up your starter bass guitar, you will need to practice, practice, practice. On top of that, finding a good teacher and starting some easy bass lessons for beginners might be a good idea. Even if it’s only for 10 minutes a day, it is incredibly important to practice your new instrument consistently. If you can, 30 minutes a day is ideal. Try to find time without any distractions to make it easier. When you start to practice, consider having something to keep time, as this is very important for bass players. A metronome will work perfectly, but if you don’t have one, there are even apps for your phone that you can use. Start slowly, and begin with simple technique exercises. Practice chords over and over again, and run scales consistently. Running scales is one of the easy bass lessons for beginners. Once you have been playing for a while, you can move on to learning songs. 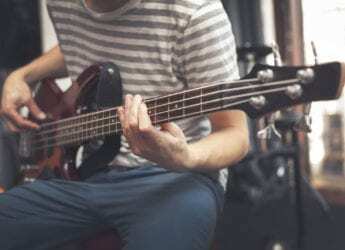 There are many beginners bass guitar songs to learn across many genres, and even just practicing bass notes for beginners will make a huge difference. Also, consider checking out YouTube videos for bass guitar tutorials as well. Learning a new instrument can definitely be challenging, but you will be reaping the rewards of your work for the rest of your life. We wish you luck on starting your bass guitar for beginners journey. What made you want to learn bass? Let us know in the comments where you are in the process of learning to play.